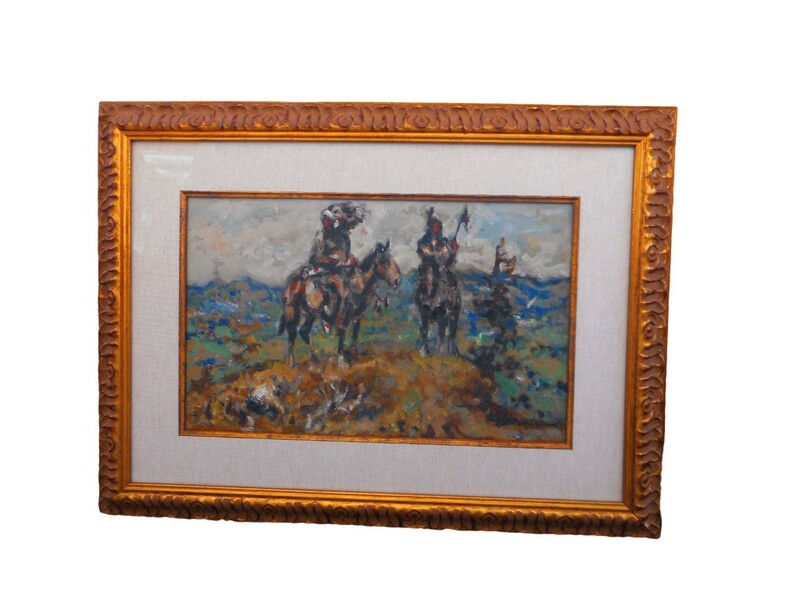 Born in Munich, Germany, Julius Seyler became a painter and teacher who spent most of his career in Germany but also spent time on the American frontier in the early 20th century. It was written that he "found his greatest satisfaction painting the Blackfoot Indians of Montana". 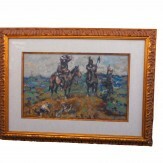 His legacy was paintings of the American West executed with the sophistication of European modernist styles. 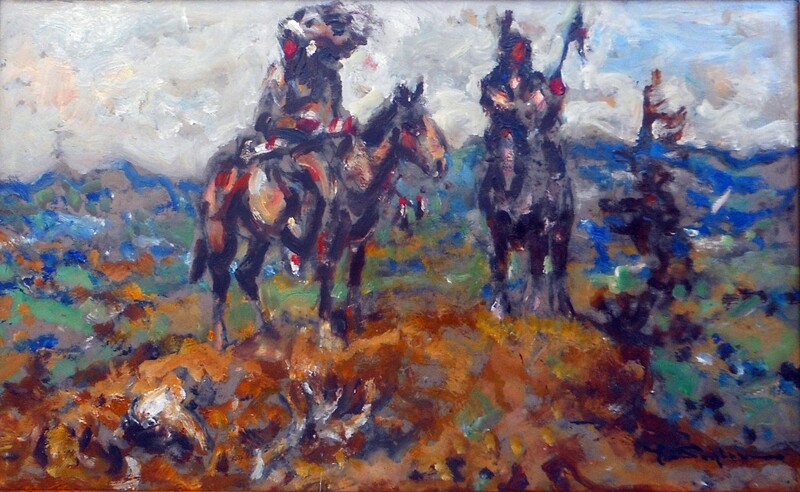 This is a fabulous oil on paper of two Blackfeet Indians on a knoll in Glacier National Park, Montana. Measures 20 3/4" x 14 3/4 image size; 23.5" x 17.5" framed. Please contact gallery for shipping charges. Size: 20 3/4" x 14 3/4"